A statement-generating programm creates sentences randomly from a database. 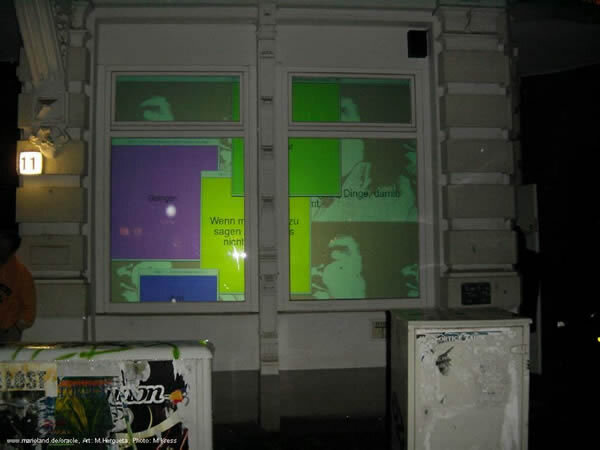 In addition the virtual windows pop up against the real window in different colours containing the oracles sentences. 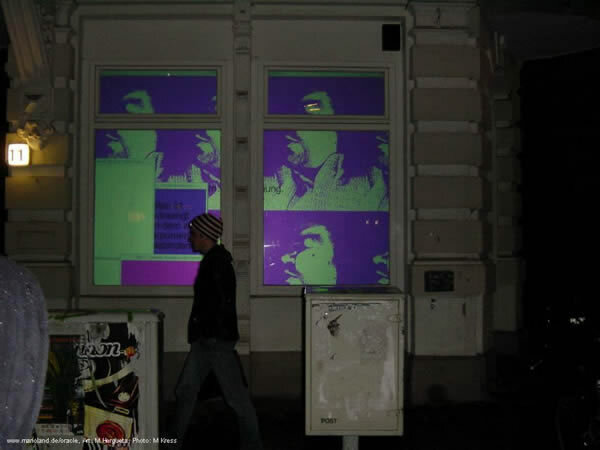 The work was projected onto a projection surface that reflects the displayed items. In contrast to cinematic techniques, the observers see the direct refraction. 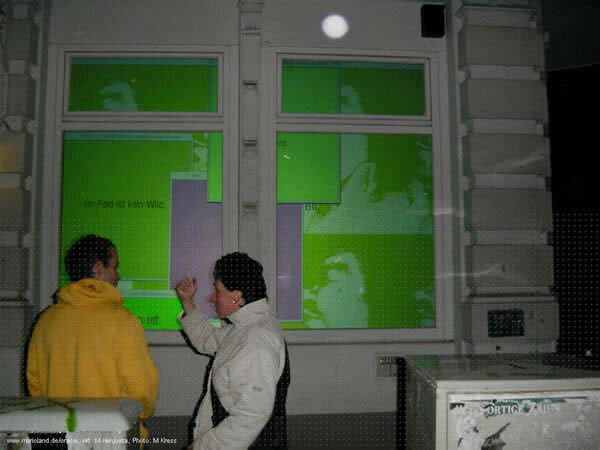 The windows was illuminated like a light box and served as a display screen. The Hein-Koellisch-Platz, formerly a lively market place, is today a center of multi-ethnic activity and social co-existence. It is situated between the famous Hamburg Fish Market and the legendary Reeperbahn, north of the harbor. The square is surrounded by numerous street cafes, bars and restaurants, as well as some of the city's finest music clubs. 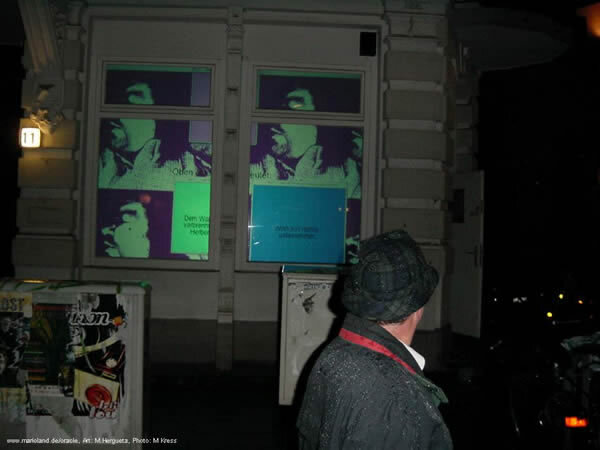 On weekends, Hein-Koellisch Platz is a popular meeting point for young locals seeking Hamburg's nightlife scene.